The 1.0 version of NTK is here! Read the announcement. 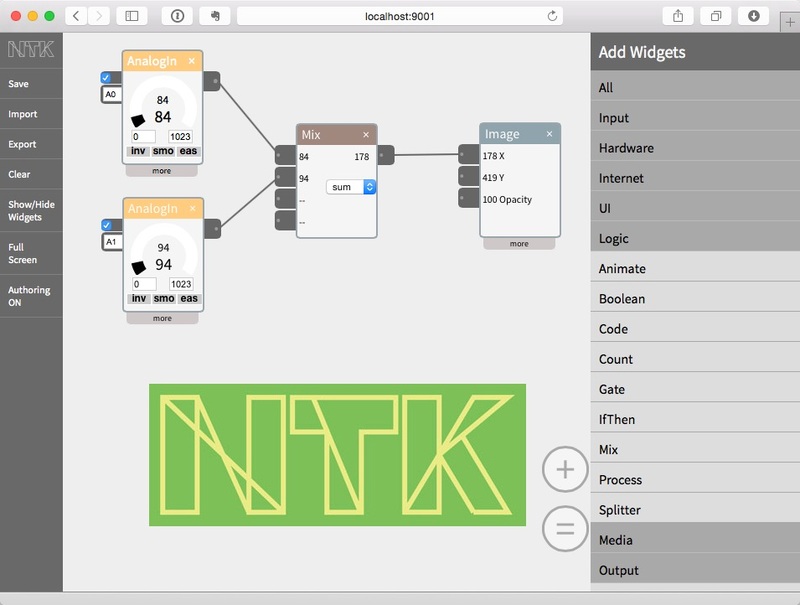 NTK (the NETLab Toolkit) is a visual authoring system for designers, developers, makers, researchers and students who want to design and build tangible Internet of Things projects. Connect sensors, actuators, media and networks with the drag and drop smart widgets. 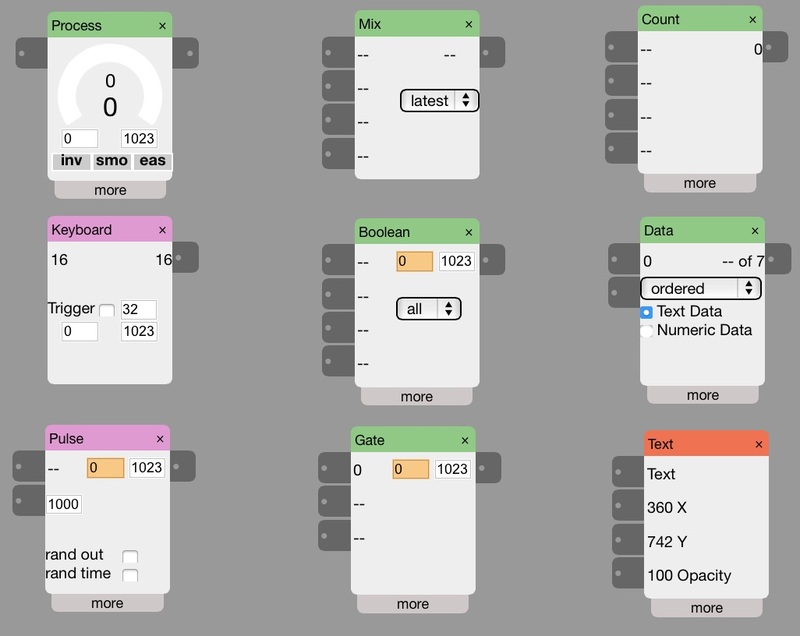 Concepts can be prototyped quickly, encouraging iteration, experimentation and testing by sketching in hardware and building connected systems. Go ahead, Drag and Drop the Internet of Things. Each Widget has a different function. Connect them together to send data from one to the next. In the Arduino IDE, put the EXAMPLES>FIRMATA>STANDARFIRMATA sketch on your Arduino. 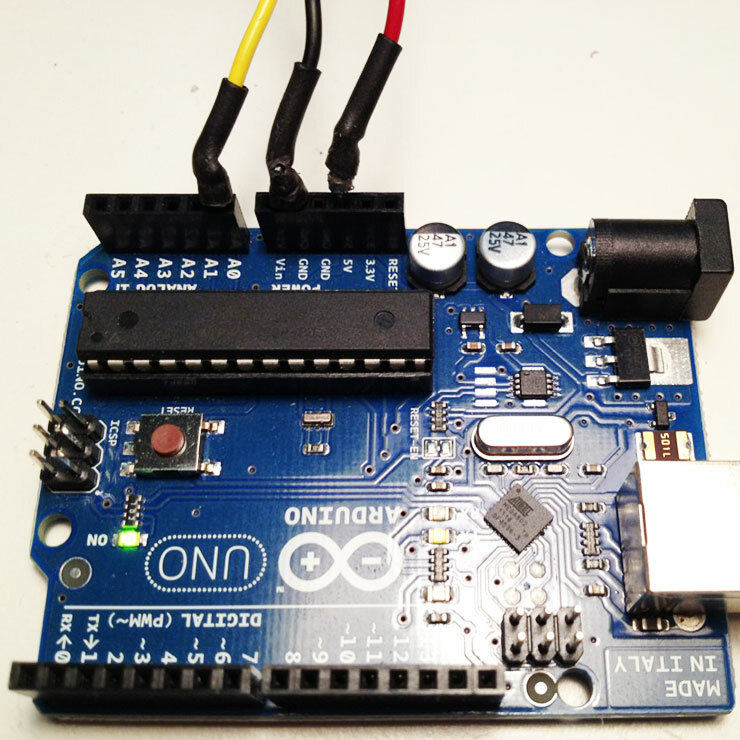 Attach sensors and actuators, and plug the Arduino into your computer. 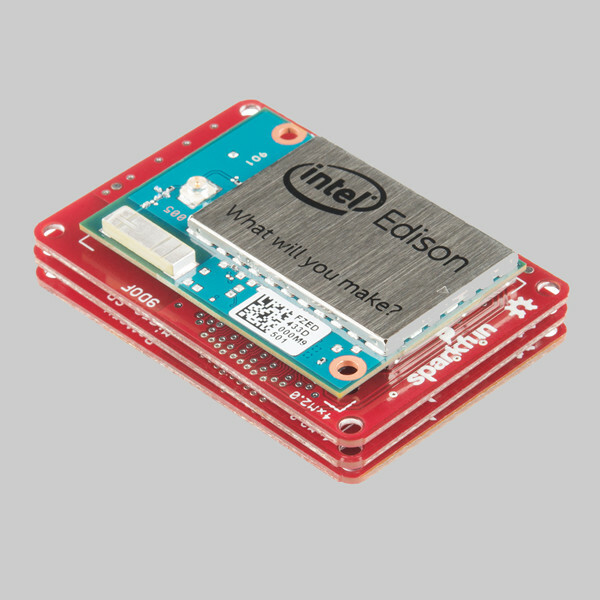 Install and run NTK on your Intel Edison, Raspberry PI, or other Linux embedded processor. Then point your mobile or desktop web browser to the IP address of your system.